Stand on the side of the reformer facing the footbar with the right leg next to the reformer. The heel of the right foot is about 4″ forward of the shoulder rest (4″ towards the footbar but on the floor). The left foot goes on the shoulder rest with the toes in extension and the ball and heel of the foot on the actual shoulder pad. You are standing up straight–long line from your head to your foot. Use perfect alignment and press the left hip into extension. Notes: Upon extension, if your client has little hip extension or tight hip flexors the left knee may meet the line of the right knee but may not extend beyond that point. 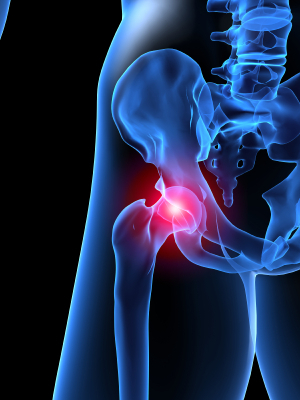 As the left hip extends be sure that your client is not ‘dumping’ into the low back. I’ve been giving this exercise to my low back pain clients for increasing pelvic and spine stability. I’ve also used it for a client with a hip replacement to really zero in on the hip extension process without a whole lot of extraneous ‘stuff’ going on. And most recently I’ve used the exercise with a knee pathology.